Phenolphthalein, 125ml (4 oz.) for sale. Buy from The Science Company. 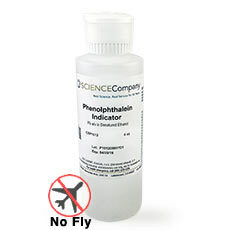 This 125 mL (four ounce) bottle of phenolphthalein is a 1% solution in ethanol. Commonly used as an acid-base indicator, 8.2 (colorless) - 10 (red). Comes packed in HDPE squeeze bottle with PP flip top cap for dispensing by the drop. 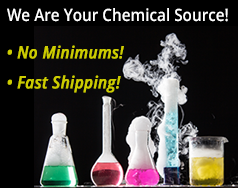 Our phenolphthalein is regularly stocked and will usually ship the next business day. Our 4oz size Phenolphthalein has flammable contents and only ships within the contiguous US states and Canada using Standard Ground. No air deliveries allowed. An acid-base indicator is a weak acid or a weak base. 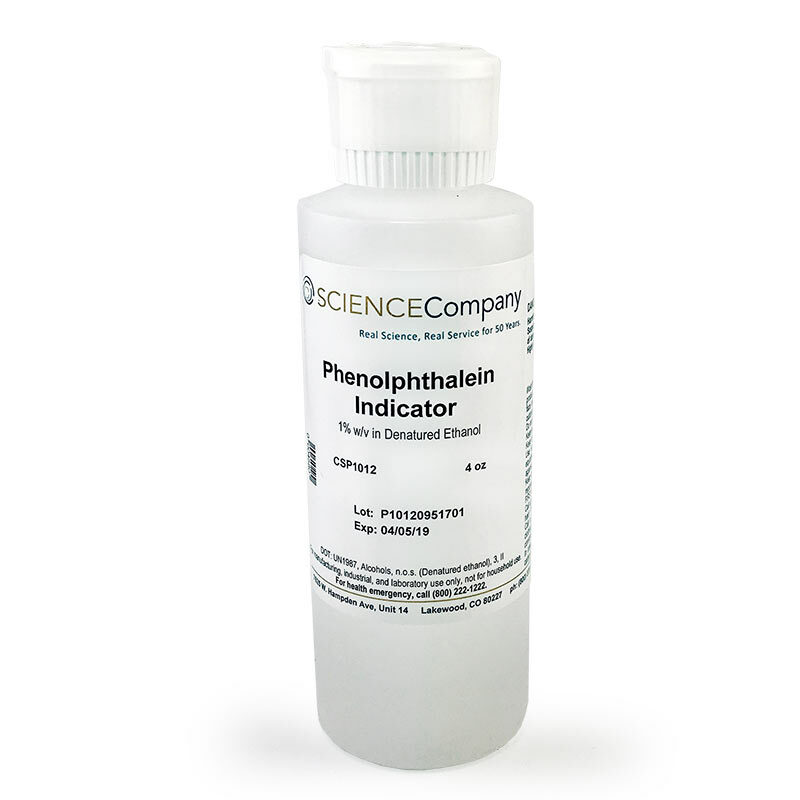 Indicators have a very useful property - they change color depending on the pH of the solution they are in. This color change is not at a fixed pH, but rather, it occurs gradually over a range of pH values. This range is termed the color change interval. Each pH indicator is defined by a useful pH range. For example phenolphthalein changes from colorless at 8.2 to pink at 10.